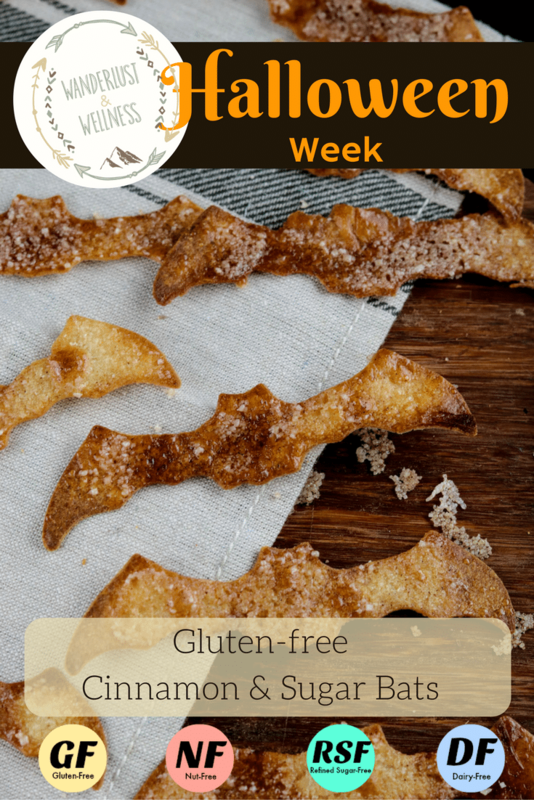 These Gluten-free Cinnamon & Sugar Bats are the perfect Gluten-free Halloween treat for all kids, but especially for those who have to avoid gluten. 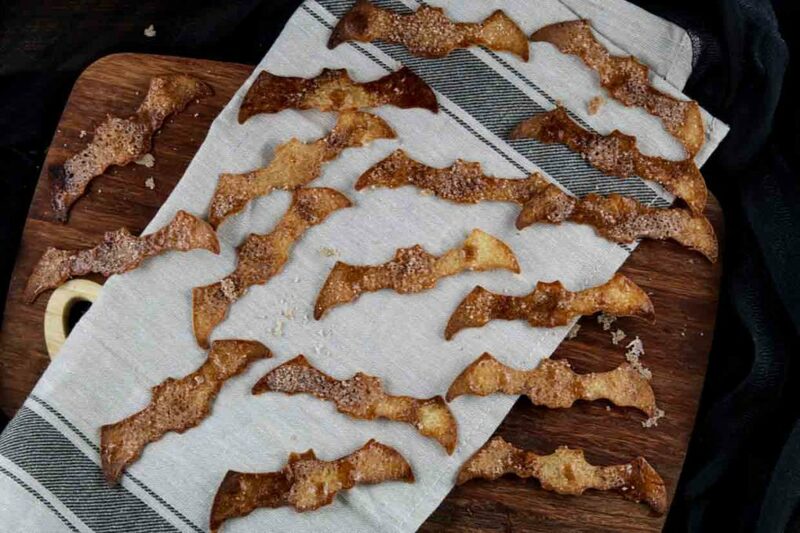 They are light, crispy, and sweet, they won’t even realize they’re missing out on that yucky gluten. They remind me of cinnamon toast crunch cereal. 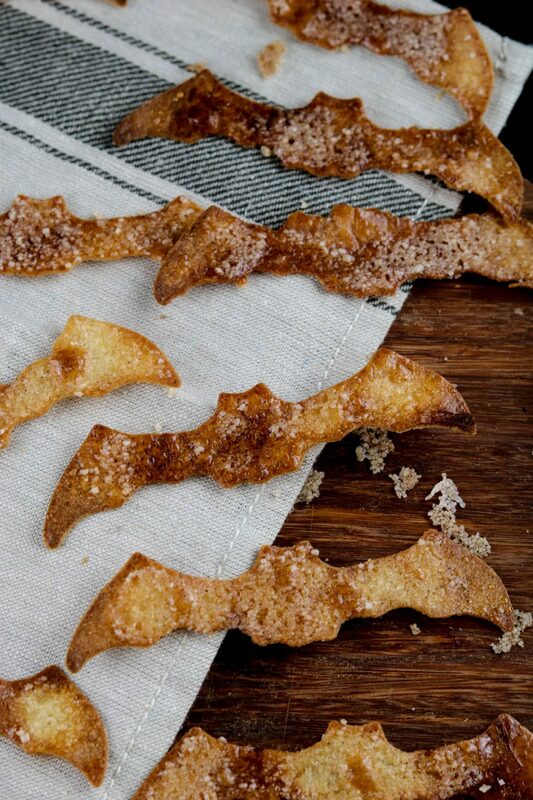 You could also make any Halloween shape you’d like, just change out the cookie cutter. But aren’t these bats so cute?!? 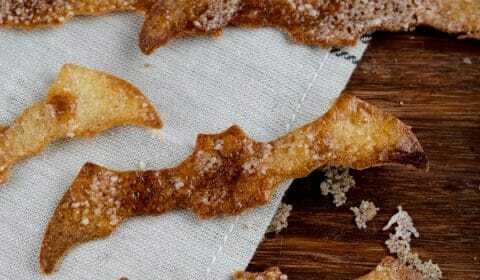 These Gluten-free Cinnamon & Sugar Bats would go great with a fruit salsa, like the one from earlier this summer. Seriously, the kids will love this treat and NOT even realize it’s healthy! They’re super simple to make. I used Udi’s gluten-free tortillas, but you can probably use any gluten-free tortilla of your choice. Simply cut out the shape using a cookie cutter, brush with melted butter or ghee (if you’re looking for a dairy-free option), sprinkle with cinnamon & sugar and place under the broiler for 2-3 minutes. Turn oven to broil and let heat up. Using cookie cutter, cut out shapes in tortillas. Fit as many as possible per each tortilla. Lay tortillas on a lined baking sheet. Melt the butter or ghee, brush generously onto each tortilla shape. Combine cinnamon and sugar in a small bowl and stir to combine. Sprinkle cinnamon sugar mixture generously onto each cut out. Place under the broiler for 2-3 minutes. Watch carefully. You’ll want them to crisp and brown but not burn.